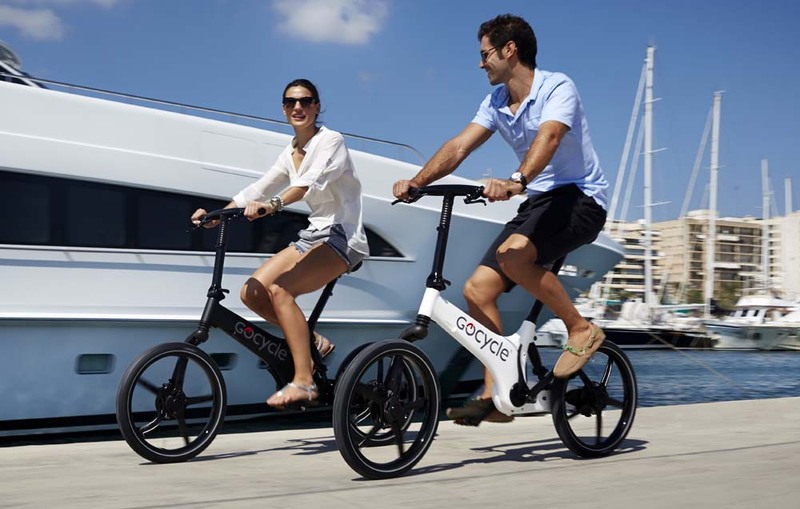 Building on the success of the G1 and G2, Gocycle have released their third generation foldable electric bike and this is now available from Landau UK. With an increased range, built in Daytime Running Light to improve your visibility, re-designed dashboard and controls, along with the fantastic Gocycle Connect App, the G3 is a worthy upgrade. 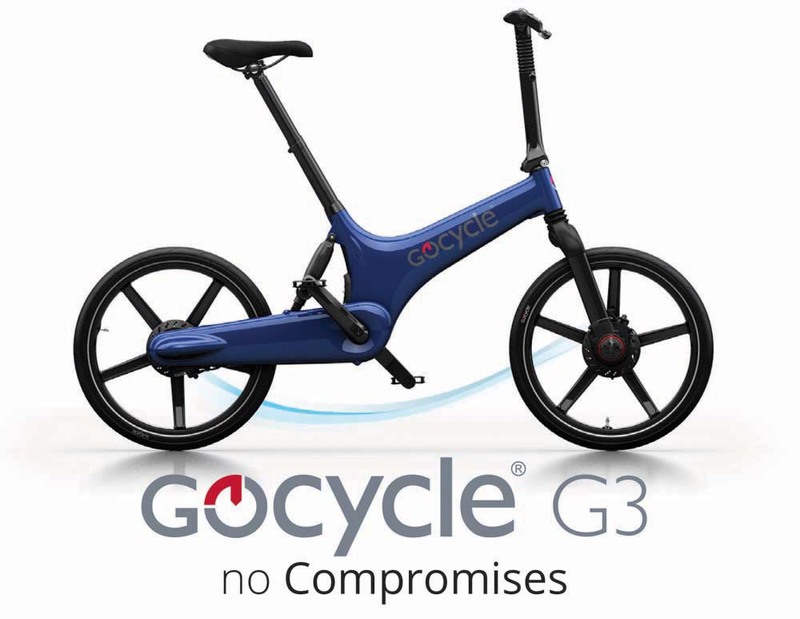 “I’m delighted to announce the release of the new third generation (G3) Gocycle! We’ve spent two years working to improve the G2, listening to customer feedback, as well as developing some exciting new innovations and technology. Our commitment to continuous improvement has delivered more than 60 advancements, building on the success and experience with G1 and G2.” – Richard Thorpe. A joy to own and ride. Gocycle is an automotive joy to live with. Ergonomic, elegant, lightweight, ingenious and fun. A talking point wherever it goes. Two wheel drive. A bespoke front-hub motor separates the powered drive from pedal drive. It’s designed to fit you. Gocycle provides contact points in exactly the same place as a large-wheel bike – but with more adjustment to fit more riders. The Vgonomic™- designed seat-post and frame geometry, combined with height and reach adjustable handlebars, provides adaptable fitting with superior comfort levels for a wide range of body types. 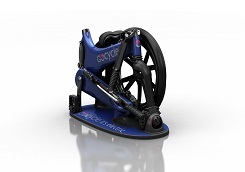 Gocycle has an automotive inspired adjustable driving position. Cars come in one size with an adjustable position; so does Gocycle. It’s agile and easy to handle. Lightest in class, Gocycle also has perfect fore-aft weight distribution with mass centralised around the bottom bracket. The low centre of gravity makes the bike agile and responsive to ride, and easy to lift and manoeuvre at home. Clean & easy to live with. No cables, no chains, no gears, sprockets, or oil – no mess. Gocycle can be taken anywhere. Versatile, light and compact. 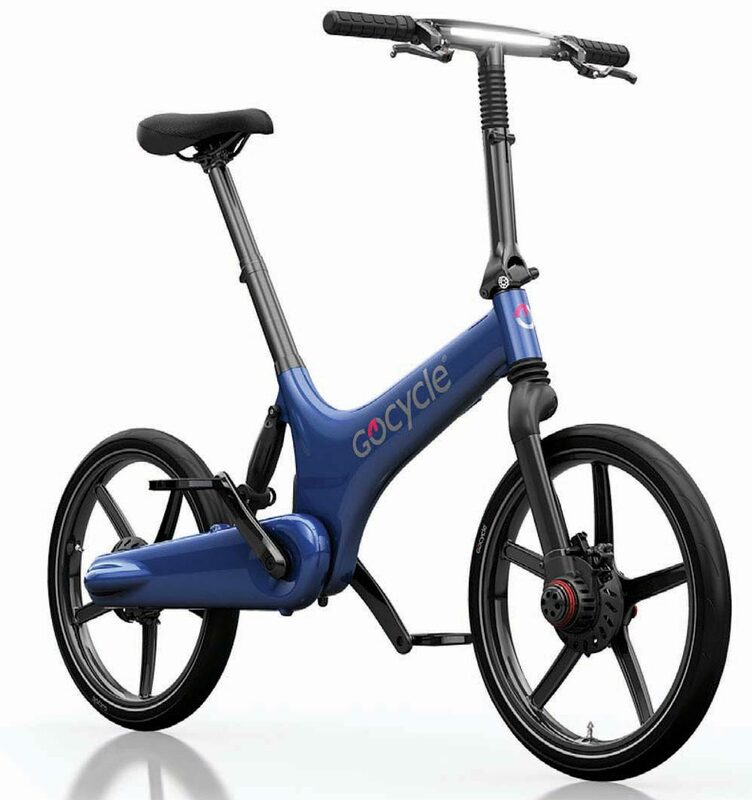 Lightweight (16kg) and stowable, no other e-bike has the versatile dynamics of Gocycle. Portable docking station available as an accessory. Daytime running light. As of 2011, European law mandates that all automobiles are required to have daytime running lights (DRLs) which substantially increase the visibility of cars to other road users. The Gocycle G3 comes fitted with an automotive inspired DRL employing our proprietary light pipe design and technology. Streamlined and easy to use. All the information the rider needs is presented in a streamlined, simple dash – battery level, driving mode, speed and gear position. Easy on the planet. Gocycle uses an environmentally-friendly process called Thixomolding® to create its high-tech, durable, ultra-lightweight magnesium frame and wheels. Fastest wheel in the world. On September 2013 in Battle Mountain, Nevada, Gocycle’s Pitstopwheel® became the fastest bicycle wheel in the world when the VeloX reached a top speed of 133.78 km/h (83.6 mph) setting a new world speed record for human-powered vehicles. Personalise your ride with the app. Smartphone app links to Gocycle easily with Bluetooth®. Use the GocycleConnect® app to select from three pre-set modes or set up your own custom mode. Call +44 (0) 1489 577588 to have a chat with one of the Landau team or email us at service@landauuk.com to find out more on the latest Gocycle G3 & GS electric bike.